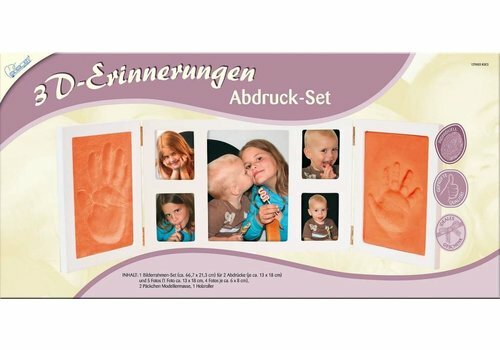 This kit makes it easy to display the baby's hand and footprint in 3D form in a frame. First an impression is taken and then cast with plaster. 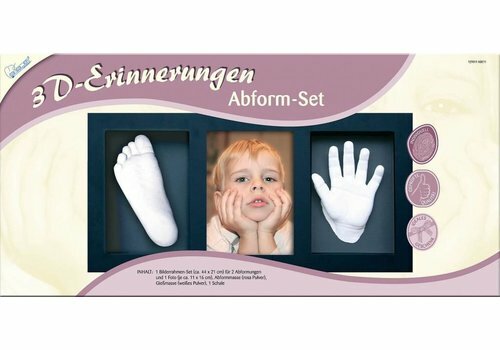 The 3D impression of the hand or foot is placed in the frame.